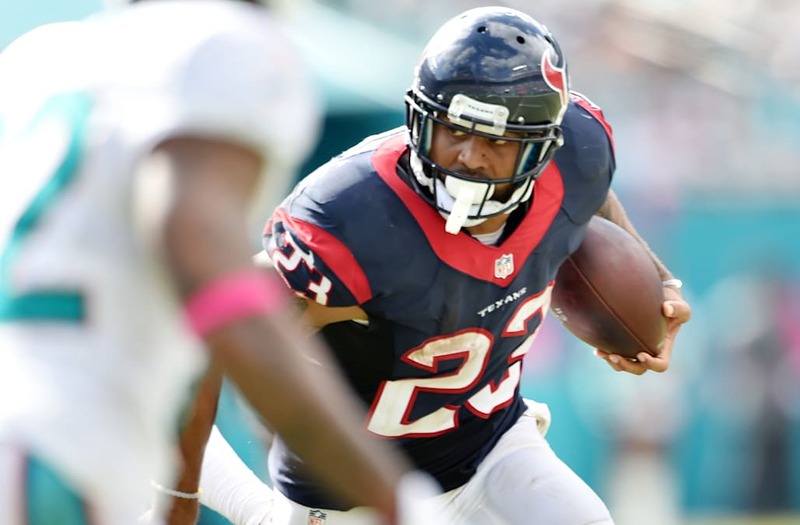 Former Houston Texans running back Arian Foster has released a rap album. The four-time Pro Bowler recently spoke with USA Today about his new career and broached on social issues the NFL is struggling with, including divisive comments made by his former employer and Texans owner Bob McNair. In October, ESPN quoted McNair as saying “We can’t have the inmates running the prison” during a meeting between players and owners at the height of the Colin Kaepernick kneeling controversy. McNair made the statement while speaking against players kneeling and drew immediate criticism for his words. Foster, who played for McNair’s Texans from 2009-15, told USA Today he wasn’t surprised by McNair’s comments. “You hear the rumblings, so … that was my first thought – that it didn’t surprise me he thought like that. Knowing my experience of being an NFL player, it is of my understanding that that’s how they view the players anyway. Foster invited McNair in April to join him on his podcast “Now What” on Twitter. @HoustonTexans formal invite for bob mcnair to come on my podcast to have a civil discourse about all. think the fans, him and myself can benefit from it. That conversation apparently has not happened. McNair has not appeared on Foster’s podcast. Foster took a pragmatic approach to digesting McNair’s words when talking with USA Today. I absolutely take who (McNair) is and where he comes from into consideration. He is an 80-year-old white man. When he was younger the prevailing thought was that there are two races that don’t really belong together. He could have been brought up to where he was raised the exact opposite and I am totally open to that. I come to the conclusion that it doesn’t bother and it just doesn’t surprise me if that is how he thinks and I am not going to lose any sleep over how Bob McNair views the players. Foster told USA Today that he doesn’t believe the fact that Kaepernick doesn’t have a job is based on race, but rather a fear from owners of dealing with a media circus. Kaepernick hasn’t had an NFL job since 2016 despite demonstrating an ability to play quarterback at an NFL level. Kapernick has filed a collusion grievance against the league, believing teams have coordinated to keep him unemployed. McNair was deposed in March as part of the grievance.